For as long as the humans are in charge and not the other way around, a glory. Of course, it would be better if the EU forced carmakers to only make clean cars, but I guess that is harder politically. The problem is not political. ICE manufacturers can't simply snap their fingers and produce EVs. There are very real physical and informational barriers that must be solved before EVs can be produced profitably and massively. The law can't mandate the transition. Electric cars that are good, desirable and profitable can't be created by decree. Engineers and business people must pay with sweat, blood and tears to create an EV, that might or might not succeed. However, the law can hasten the transition by doing exactly these kinds of things. Penalizing ICEs and rewarding EVs creates both negative incentives for ICEs and positive incentive for EVs. I understand the resistance to this. This is not fast enough, but at least it is accelerating the transition. No, just much smaller. Someone else said irrelevant. So you think the influence of volume and thickness on the "state of the Arctic" are not so small as to be irrelevant, nice. We are getting somewhere. Volume and thickness are relevant to the "state of the Arctic". We agree on that. How relevant? We disagree enormously. In a snapshot, just looking at this date, the answer would be yes. My answer would be no. This is not the worst state the Arctic has ever been. The volume of ice on the Arctic is higher than in 2017, thus more energy will be needed to melt the remaining ice than in 2017, even when the extent is lower. I suspect this will continue, until the next force pushes the system into a new state. Like for example, pacification of the inner Arctic basin. Ice will still form, increasing Area numbers during the cold Arctic winter but Area hides the fact that it is thin, salty, late to form and early to melt ice. I could've sworn that you were implying that the impact of volume and thickness on the "state of the Arctic" was so small as to be irrelevant. So let me ask you this. Currently the Arctic is at record low extent ( by a lot) but volume and thickness are not record low. Is this the worst state the Arctic has ever been? I have never said that thickness and volume do not matter. Yes, but that third dimension, thickness, is several orders of magnitude smaller than the other two. Hence, the third dimension forces have much less influence on the total makeup than the other two. The factors influencing thickness, like wave action, are small compared to those acting on the overall area, sunlight and seawater. Thickness changes does not drive the sea ice, rather they occur through these other factors. Smaller changes in thickness have little overall effect. Thickness has little to no impact in these areas. and why they feel extent is the better measure. A better measure of what? Be specific. What is the question that Area best answers? KK, what are your views? They are all over the place. Do you still believe that volume and thickness don't matter? Also do you understand the difference between thickness and volume? You seem to be using them as interchangeable. To me it seems like you want to focus in extent because it tells the story you want to hear. To do that you must ignore thickness and volume because they tell a very different story than just area. Thickness is the magnitude of 1 dimension, height. Area is the magnitude of 2 dimensions, width and length. Volume is the magnitude of 3 dimensions, height, width and length. Which one is more important? 42. ASI is not just a shapeless, massless, inert 3D object in a vacuum. Climate change will be good for agriculture because the growing season will be lengthened... lol. It terrifies me to know that the leaders of the world are working under the assumption that because it is getting warmer in the North, where it is very cold, climate change won't be bad for them. The changes in the characteristics of seasonality will be much worse than warming. Our study confirms that the gasoline vehicle replacement with EVs, powered by 80% coal, has no effect on overall emissions. Yet China is at 60% coal and dropping. That last sentence seems to contradict all the findings. I mean really. 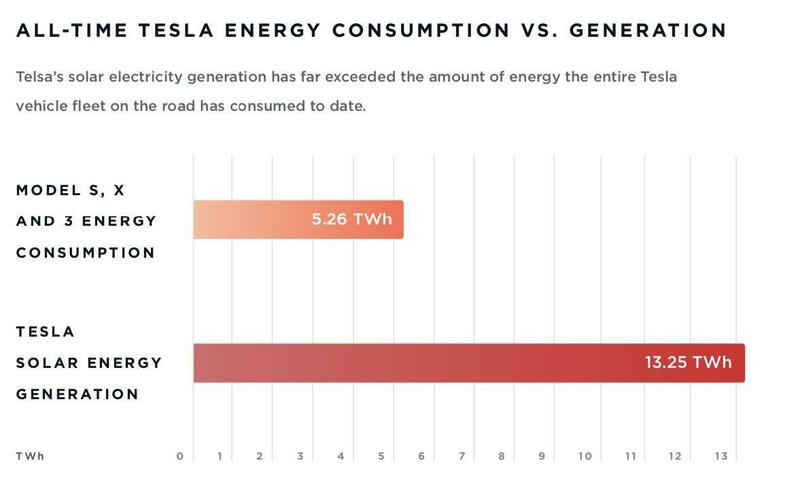 Up to 80% powered by coal, EV's are better. As the grid decarbonizes emissions become 0. The logical conclusion would be to adopt both EVs and renewables right now, not to ignore EVs until the grid is clean. I have no clue how they arrived to that conclusion. There are two parts to the Arctic. One part where there is too much heat during the year for ice to survive the melting season, and another part where there is not enough heat during the year to melt the ice. Sorry but no. Extent is binary. Is there ice or is there no ice. That's it. It contains no information on the survival of ice without encoding geographic or temperature data. If you do the same thing to volume and thickness they will show all the data extent does and then some. and best measure of the long term trend in reducing the ice, and best predictor of when we will go ice free. Those who were extrapolating volume/thickness loss around 10 years ago were predicting ice free by about now. Those who were extrapolating extent predicted that we wouldn't be. Looks to me like the predictions based on extent were better. BIG TIME NO! At the same time people were extrapolating no ice by now with volume, other people were extrapolating no ice by 2070 and beyond based mostly on extent. Most of them now admit they were wrong and the estimates have been changed to earlier dates. If we get a time machine and go to the year if the first BOE, then we can determine who was "more right" or "more wrong". Thickness remembers recent conditions, and encodes information on how warm that part of the Arctic is. If thickness is very low, that suggests recent temperatures have been warmer, and it is more likely that the ice won't last this specific season. Thickness is the most important measure for predicting short term changes in ice extent and whether ice will survive the coming melt season. Thickness is indeed a very important. Just like volume and extent. Those diminishing the importance of the higher dimensions of the arctic are wrong. Do you really think that a 90% drop in thickness can even compare to a 90% drop in extent (or area)? Do you really think you should ignore a 90% thickness reduction (whatever that means)? This should come as no surprise to those who have followed my posts. I have followed your posts. You seem to have most things backwards. Not true for sea ice, but likely true for ocean water. Albedo can vary wildly depending on the characteristics of the ice. Thick, snow covered ice, extremely high albedo. Thin, melt pond areas have almost the Albedo of open ocean. Both snow and melt ponds are extremely relevant to volume. adding thickness will only change the albedo marginally when the ice is extremely thin, while the difference between any ice and open water is huge. Again thick snow covered ice, .9 Albedo. Thin, melt ponded ice, .2-.4 Albedo. Huge difference. Weather is unaffected by ice thickness also. This effectively changes the Arctic from an ocean system to a desert. Extent has a much greater effect on wildlife than thickness. The ice forms an effective barrier between the air and water, and the size of the barrier is largely immaterial. The thickness of the barrier determines the transfer of heat between the ocean and the atmosphere. It the ocean temperatures and surface air temperature are the same, the thinner ice will melt faster and will grow faster, depending on the temperatures. Animals above cannot feed on those below, and mammals below cannot surface. Sure. I'm sure you are generalizing but it seems like a good assumption. Given the topic at hand, the differences between open water and an ice-covered surface is significantly greater than the difference in ice thickness. If the topic is the melting season, then extent, volume and thickness are about equally important. Each as a simple scalar tells us vital information about a generalized view of the arctic, but nothing specific nor sufficient for most informed analysis. All three together gives us the best picture. Interestingly, when extent or area are presented as a point on an arctic map, volume and thickness are completely lost. However, when presenting volume/thickness in the same manner we get area for free.